The official website for the Rio de Janeiro 2016 Olympic Games proclaims on its banner “Excellence, Friendship and Respect are the Olympic Values.” Ironically, up to now, none of these principles have been extended to the many favela residents as they were evicted from their homes in record numbers, in preparation for the two-week athletic event to be held in less than 70 days in Rio de Janeiro. According to a 196-page dossier released by the Popular Committee on the World Cup and Olympics, titled the Rio 2016 Olympics: The Exclusion Games, roughly 20,000 families have been removed from their homes in various favelas throughout Rio de Janeiro from 2009 to November 2015. At least 4,210 of these removals have been directly linked to the Olympic Games. The reasons provided to justify these forced evictions range from construction of new roads and parking lots to new developments in the Harbor Area, clearing space for luxury condominiums, as well as creating room for the Olympic Park. It is clear, however, that the Brazilian government is ready to do whatever is necessary in order to reclaim valuable land parcels before the Olympic Games begin. This effort from the Rio de Janeiro municipal government has affected, perhaps more than any other community, Vila Autódromo, a small non-violent favela with a strong sense of community located right next to the Olympic Park. The term favela refers to illegally settled areas that emerged throughout Brazil in order to provide low to middle class families with an affordable opportunity to live in outrageously expensive major cities, such as Rio de Janeiro. As Rio de Janeiro began to boom economically, favelas originated from an unmet need for housing during periods of high migration rates and increased urbanization. They were established and developed with little to no outside or governmental regulation. 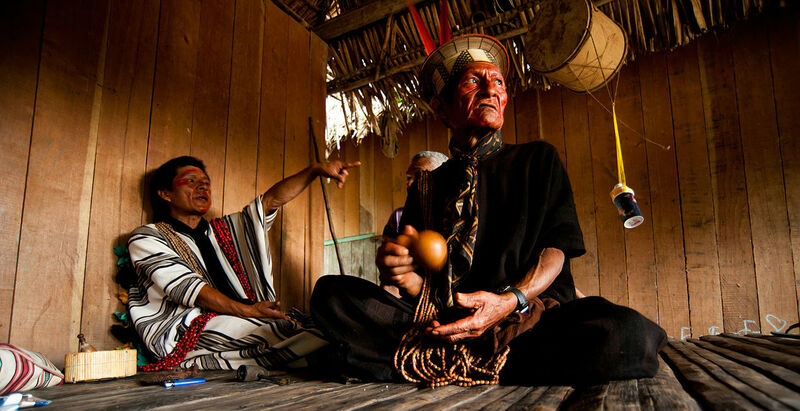 As a result, they were fully constructed and organized by individual residents and are continuously evolving based on access to resources, knowledge, and culture. For this reason, from a socio-political perspective, favelas historically have been ignored or forsaken by the state and because of this, unaffected by state policies. Prior to the recent government actions against these communities, the favelas have existed relatively peacefully, creating their own communities and services, with only a few minor conflicts brought about with the state and local governments. Today, roughly 20 to 25 percent out of the 6 million cariocas, or residents of Rio de Janeiro, live in one of the city’s 700 favelas. Clearly the supposed “security threat” of having another structure near the planned Olympic Park was not the issue. The issue stemmed from the fact that Vila Autódromo was so close to a soon to be high traffic area in the city. By allowing high-rise apartments to move closer while forcing out the favela, the city’s bias against the favela community became fully apparent. Vila Autódromo has served as a symbol for community-organized movements throughout its history. The community dates back to the 1960s as a neighborhood located along the Jacarepaguá Lake that was originally settled by fishermen and was given its name because of its proximity to the main racetrack in Rio. Like most favelas, the original settlers of Vila Autódromo did not have titles on hand, but built homes and developed services such as running water and waste systems nonetheless. Over time, the government of the state of Rio de Janeiro did however move to grant legal ownership to its residents, as well as the residents of other favelas, beginning in the 1980s and the 1990s, coinciding with housing boom periods. However, this has not kept the city’s government from trying to uproot the favela for various reasons. The community first faced eviction threats from the municipal government in 1992, when Rio de Janeiro was the host of the United Nations’ “Earth Summit”. The municipal government claimed that the community was to be removed because of poor urban aesthetics, pollution, and environmental damage. While city government officials wanted the community removed, the state government backed the community’s claim by upholding the previously granted land titles. However, with multiple mega-events recently descending upon the country, the state government has decided to look the other way while the city government resumes attempts to clear out Vila Autódromo. This new tactic was able to convince a majority of the 700 or so of the families to either take money to leave, or be relocated under the government’s Minha Casa, Minha Vida housing initiative. For those who stayed behind and refused to leave their homes, the government started using what the locals call physiological warfare, turning off running water, leaving recently demolished neighboring houses in rubble, and other tactics to scare the residents into taking the increased monetary offers. Sandra Maria de Souza, a resident of Vila Autódromo, previously explained: “Look at it – it’s like living in a war zone … This is part of the policy of the city government to make life unbearable and inhuman, to make people leave.” The increased offers combined with the poor state that the community has been left in shows that the government does not truly care about the local citizens, but simply want to acquire the land before the start of the Olympics on August 5. For the remaining 20 or so families in Vila Autódromo, they have come together in solidarity to fight for their rights and remain and protect the homes they created. They have continued to improve their households as a way to show their resolve to remain in the community for the long-term such as building a new daycare and using the local church as a gathering place to come together. “We’ll bring the daycare and the neighborhood association close to the church because the church has become a point of resistance,” explained Fernandra Santos who is the architect of the new project. 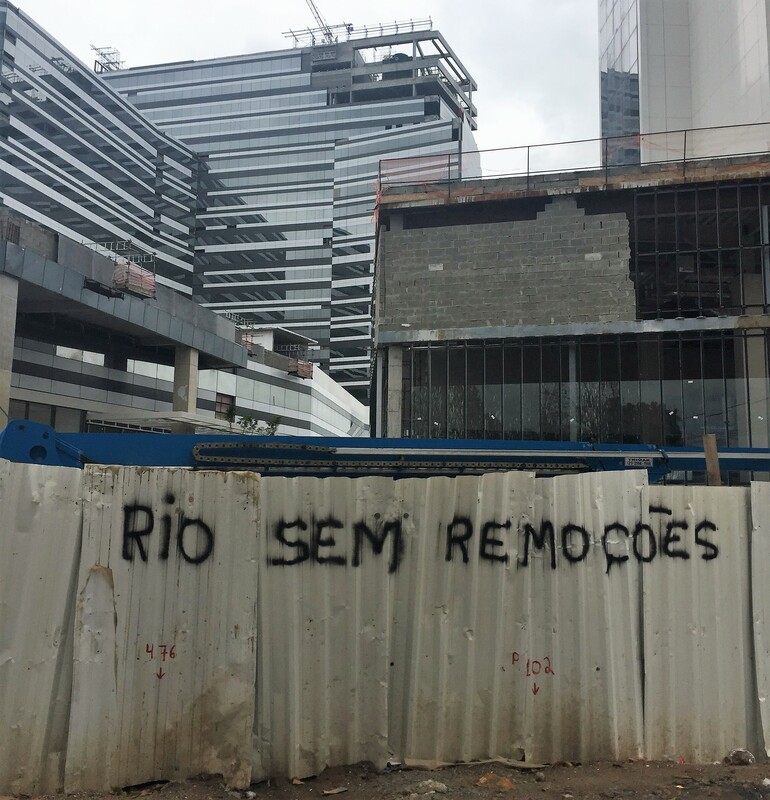 Locals have also used graffiti as a platform to highlight community resistance, with sayings including: Não Vamos Sair (we will not leave), Nem Todos Tem Preço (not everyone has a price), and Rio Sem Remoçóes (Rio without removals). International media has also highlighted the activism of local residents and their cause. Many different foreign news sources have reported on the struggle that the residents of Vila Autódromo have encountered, putting pressure on the government to pursue a quick solution that can benefit residents. With the inauguration of the Olympics coming closer by the day, the fate of the handful of remaining families is still undecided. According to Cerianne Robertson, “After all the national and international media coverage Vila Autódromo has received, including repeated promises from Mayor Paes that those who want to stay can stay, the City would create a huge media mess for itself if it were not to build the new homes in the neighborhood as promised for the remaining 20 Vila Autódromo families. That said, after years of intimidation and feeling deceived by the City, residents remain on alert and wary of more broken promises.” While Mayor Paes agreed to support the deal reached between the two groups, he may be tempted to resume clearing the area so that the Olympic Park can be completed on time. The deal reached on April 13 includes plans for a cultural center, a sports field, and most importantly new houses that are 56 square meters and will be built before the start of the Olympics. Cerianne Robertson reiterated that the changes to Vila Autódromo are going to “erase the favela” by the time the Olympics actually come around – giving the government what they wanted the whole time. Aside from the community church, the rest of Vila Autódromo is to be torn down and rebuilt by the government – in some plans there was even attempts to change the name from Vila Autódromo Community to the Vila Autódromo Condominiums. To ensure that their story is never forgotten, the community opened a new outdoor museum in remembrance of the forced evictions and home demolitions. The community is counting on the museum to continue to attract attention, so that once the media moves on, they are not put under renewed pressure to leave. Even though only 20 or so families remain, they are fighting with increased perseverance and strength, ensuring the government cannot cover up what happened to their community of over 700 families in order for a two-week event to take place. Featured Photo: Taken by Maria Islam at Vila Autódromo on January 3, 2016. Photo in article: Taken by Rachael Hilderbrand at Vila Autódromo on January 3, 2016. “Olympic Games.” Rio 2016. Accessed February 26, 2016. http://www.rio2016.com/en/olympic-games. 4 “Rio Favela Facts.” Catalytic Communities. Accessed May 10, 2016. Robertson, Cerianne. Interview with COHA. Personal Interview. May 25, 2016. “AU’s Alternative Break Program: Community Organizing in the Favelas in Rio de Janeiro: Empowerment through Education. December 27, 2015- January 12, 2016 and March 7-15, 2015.” Interview by author. March 10, 2015. 5 Sorensen, M. Warburg. “Mega Events in Rio de Janeiro – The Case of Vila Autódromo: Community Planning as Resistance to Forced Evictions.” Roskilde University. February 1, 2013. https://www.academia.edu/3005429/Mega_Events_in_Rio_de_Janeiro__The_Case_of_Vila_Aut%C3%B3dromo_Community_Planning_as_Resistance_to_Forced_Evictions. 6 Martins, Pedro. “Brasil De Fato.” Vila Autódromo (RJ): Moradores Pressionam Prefeitura Com Plano Popular. February 24, 2016. http://brasildefato.com.br/node/34225. 7 Zirin, Dave. Brazil’s Dance with the Devil: The World Cup, The Olympics, and the Fight for Democracy. Chicago: Haymarket Books, 2014. p. 186. Ernesto Magalhes, Luiz. “Com Remocoes, Vila Autodromo Encolhe 83% Em Dois Anos.” O Globo. October 25, 2015. http://oglobo.globo.com/rio/com-remocoes-vila-autodromo-encolhe-83-em-dois-anos-17872872. Hall, Christa. “Vila Autódromo Wins Olympic Land Battle.” RioOnWatch. January 27, 2012. http://www.rioonwatch.org/?p=2805. Silva, Gerardo. Olimpíadas, choque de ordem e limpeza social no Rio de Janeiro. Algumas resistências em curso. Biblio 3W. Revista Bibliográfica de Geografía y Ciencias Sociales, Universidad de Barcelona, Vol. XV, nº 895 (18), November 5, 2010. http://www.ub.es/geocrit/b3w-895/b3w-895-18.htm. Silvestre, G; de Oliveira, NG; (2012) The revanchist logic of mega-events: community displacement in Rio de Janeiro’s West End. Visual Studies, 27 (2) pp. 204-210. Salcesen, Sam. “Determined to Remain, Vila Autódromo Prepares to Build Long Awaited Daycare Center”. RioOnWatch. December 16, 2015. http://www.rioonwatch.org/?p=25858. 17 Talbot, Adam. “Brazilians Vent Rio Olympics Frustration in Graffiti – Photo Essay”. March 16, 2016. http://www.americasquarterly.org/content/brazilians-vent-rio-olympics-frustration-graffiti. Vila Autodromo. 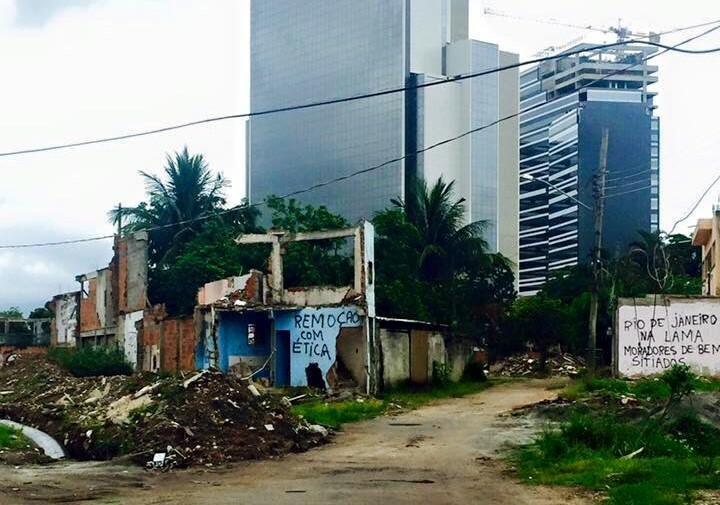 “Vila Autódromo to Launch Evictions Memory Museum”. April 21, 2016. Translated by Cara Pears of RioOnWatch.